Sandstone arch – Dan R. Olsen Jr. I saw this picture on a screen saver on a PC. I liked the color and the contrast between the shaded, yet colorful arch and the sun-bleached desert beyond. This was the first painting where I started to learn the texture and richness of light glaze layer over layer. 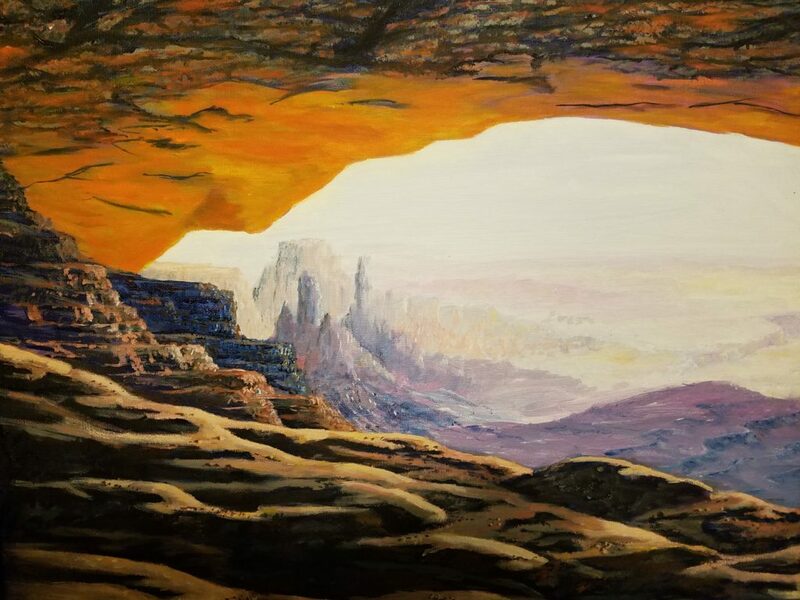 It was almost 10 years after I painted this that I learned that it is Mesa Arch in Canyonlands National Park.